As promised here is the reposting of my second winning article: “Even Though I Walk Through the Valley”. 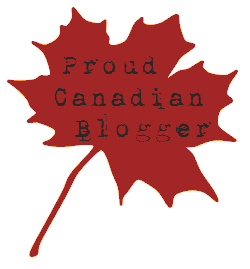 I am still pinching myself after winning the Canadian Christian Writer’s Award in the Blog Series Category! Thought I should also recognize those writers who were finalists with me! Troy Dennis, Marcia Laycock, Violet Nesdoly, and Kimberley Payne. I am so humbled and honoured to be numbered amongst these amazing writers. One of the most beautiful places to visit is the Comox Valley in B.C. My husband grew up there and we return year after year to spend time with his family. Comox means “Place of Plenty” and the description is an apt one. One of the most picturesque sites is overlooking the valley from the Back Road. The view is spectacular with the mountains and glacier as the backdrop, the ocean to the left, and the green, fertile farmland below. Certainly we Alberta landlubbers are drawn to the ocean, and we appreciate the mountains, but the valley is the heartbeat of Comox. Locals shop in the “valley”, farm in the “valley”, go to school and work in the “valley”. The people may look to the hills and to the ocean, but they tend to do the majority of their living in the “valley”. Driving around Comox, there are sights and sounds in the valley that overwhelm the senses. From the cacophonic honks of Trumpeter Swans nesting in the lowlands to the shrill peal of Eagles circling overhead, not to mention the routine drone of air force planes taking off and landing at the Comox air base, it is a thrilling natural and unnatural orchestra of sound that emanates in and around the valley. The gardens are plush, the farmland is fruitful. Truly it is a peaceful place, if one only takes time to appreciate it. When we think of valleys in life though, we do not associate them with beauty but with heartache. Valleys are places to be avoided, or to walk through quickly. Our sights are always set on the mountaintop experiences, never on the valleys. Valleys are associated with suffering and grief. “Vale of tears” is a phrase that refers to Earthly sorrows that are left behind when one enters heaven. “Vale” means a valley or a dale. The expression hearkens to the 23rd Psalm with reference to the “valley of the shadow of death”. When we grieve, we are in a “dark valley”, when we rejoice we are “on top of the world”. So let’s contrast the “top of the world” with the “valley” for a moment. I have observed that when I am in the Comox Valley my eye is constantly drawn to Mount Washington. I have been told that the skiing there is fantastic, and it is supposedly the second busiest winter recreation destination in B.C. just behind the Whistler/Blackcomb resort. The thing is, despite having visited Comox for over thirty years, I have yet to visit Mount Washington. I have been told that the view of the Comox Valley from Mount Washington is absolutely spectacular, which leads me to deduce that those who have been up to that mountain top spend a lot of time looking down at the valley. So I can’t help getting a little philosophical here. When we’re in the valley we look up, and when we’re on the mountain we look down. Am I right? As a Christian I have done that repeatedly. In the valley I looked Up and when on the mountain I looked down. How many times have I cried out to the Lord, “Help! Get me out of this deep valley! Rescue me!” I don’t want to stay in the valley; I want to be on the mountain. I have often mistaken the mountaintop experience as being closer to God somehow. And yet some of the most beautiful encounters I’ve had with God have happened right there in the valley. “Even though I walk through the valley of the shadow of death, I will fear no evil, for You are with me.” I look up to God and I discover that He is right there in the valley with me and I am comforted. I have also noticed that the times I am “on top of the world” a kind of self-sufficiency comes over me and I forget Who it was that guided me over all those rocky places as I climbed out of the valley. The “rod and staff” are not as necessary at the top of the mountain and rather than feel closer to God I have a tendency to look longingly down because it was there in the valley that I feel the closest to Him. It is not by accident that the Psalmist paints a word picture of the Good Shepherd leading His flock of sheep through a valley. It was common practice then as it is now for a shepherd to guide his flock to prime grazing grounds. The shepherd allowed the sheep to feed and quench their thirst in the streams there for a while and then would guide them up the slopes and over the rocky terrain to the next pasture ensuring that there was always an abundance of food for the herd. But traveling from valley pasture to the next meant negotiating through narrow ravines or wadis, or journeying over rocky and dangerous terrain. It required the sheep to not run ahead of the shepherd. The shepherd was the guide, he determined the path and direction, to stray from the path could prove to be destructive for the sheep. Likewise it was the shepherd who determined how long the sheep would stay in the valley. Once he felt they had been sufficiently nourished, he would guide them on to the next pasture. He would help the sheep traverse the slopes out of the valley but he would not linger long on the mountaintops because of the scarcity of food there for his sheep. Although the sheep may have enjoyed the view from the mountain and preferred not to have to negotiate the rough terrain leading down to the next valley, the shepherd knew that it was in the valleys that he would be able to adequately feed and prepare his flock for the next journey ahead of them. It is also interesting to note that the Psalmist says, “Even though I walk through the valley…” It does not say, run, skip, jump or rush. The journey from valley to valley for the sheep is not a time of running quickly through one just to get to the next pasture. Time is spent being nourished and cared for by the shepherd at each destination for as long as the shepherd decides before moving on to the next pasture. It is also not a place to stop and set up camp indefinitely. Walk “through” the valley, means just that. It is something to be experienced and then move on when the shepherd signals to move on. This entry was posted in Inspiration & Devotion, Proverbs 16:9 - Journey Thoughts, Write On! and tagged Blog Series, Canadian Christian Writing Awards, Kimberley Payne, Lynn Dove, Marcia Laycock, Troy Dennis, Violet Nesdoly, Winner - Blog Series, Word Guild, Writing Awards. Bookmark the permalink.